Cloud backup has been discussed in detail in a previous post and can succinctly be described as backing up data to a remote, cloud-based server. As a form of cloud storage, cloud backup data is stored in, and accessible from multiple distributed and connected resources that comprise a cloud. Conversely, business continuity and disaster recovery are intertwined methods of planning that are integral to ensuring that your business is able to continue operating in the event of a disaster, whether the disaster is human-induced or natural. Disaster recovery refers to the set of policies put in place to protect your business’s technology infrastructure, such as its software or data, while business continuity refers the overall business functions. Both are imperative to ensure that damage is minimized in the wake of an unforeseen event. In fact, a recent study showed that without a disaster recovery plan in place, businesses are likely to go out of business in a period of just 18 months if a disaster strikes. 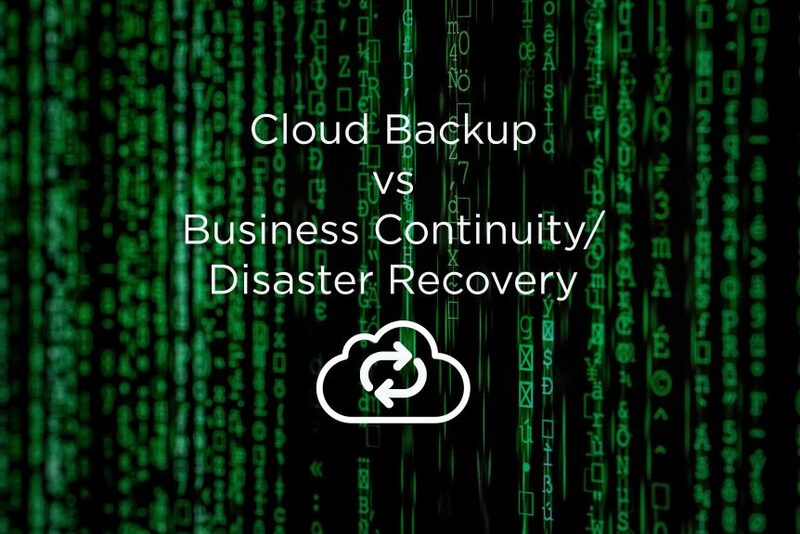 Simply put, backup, disaster recovery, and business continuity are separated by the time it takes to restore and/or recover your data and get back to work. Business Continuity/Disaster Recovery (BCDR) strategies speed up recovery time from days or weeks to just minutes or hours. The reasons for requiring this type of preventative security are essential. Let’s take a closer look at the three main elements contributing to the necessity of BCDR. Most businesses cannot afford to have any downtime without it significantly affecting its profits, yet a startling 53% of operations are not equipped to handle even an hour of downtime before they experience a significant loss of revenue. In fact, bankruptcy is a very real possibility when businesses don’t resume operations in a timely manner. Having a disaster recovery plan in place ensures that the business will run again as quickly as possible, thereby minimizing any downtime and loss of revenue. A disaster recovery plan will specifically address the ways in which to replicate the businesses’ data, which is essential to ensuring that the business can continue to operate. In fact, one study indicated that 87% of businesses that lost access to their data for more than a week, were more likely to be out of business only a year later. 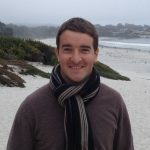 Unexpected downtime does not only lead to high financial costs, but it can also lead to the loss of reputation due to the fact that customers expect to have access to the business on a 24/7 basis. A disaster recovery plan can prevent reputation loss from happening entirely, or at least minimize the damage. Securing your company’s data via cloud disaster recovery solutions is crucial to protect your business in the event of an unforeseen disaster. Stage2Data is one of North America’s most trusted cloud solution providers, offering secure data management at a cost effective price. Contact our team for more information today.